SOME of the country's top prospects will get one final hit-out before November's NAB AFL Draft at Friday's Under-18 All Star match. The match will pit the Brenton Sanderson-coached 'Team Judd' against the Tadhg Kennelly-coached 'Team O'Loughlin' and feature highly rated prospects such as Hugh McCluggage, Ben Ainsworth, Andrew McGrath, Sam Petrevski-Seton and Hyundai Help for Kids Lions Academy player Declan Watson. An U17 version with the same coaches and team names will be played at the MCG on Saturday as a curtain-raiser to the Grand Final (this game will be streamed LIVE on AFL.com.au). But all recruiting and spectator eyes will be on Punt Rd on Friday with goalkicking midfielder McCluggage and his Victoria Country midfield mate Ainsworth both touted as top-three draft prospects. 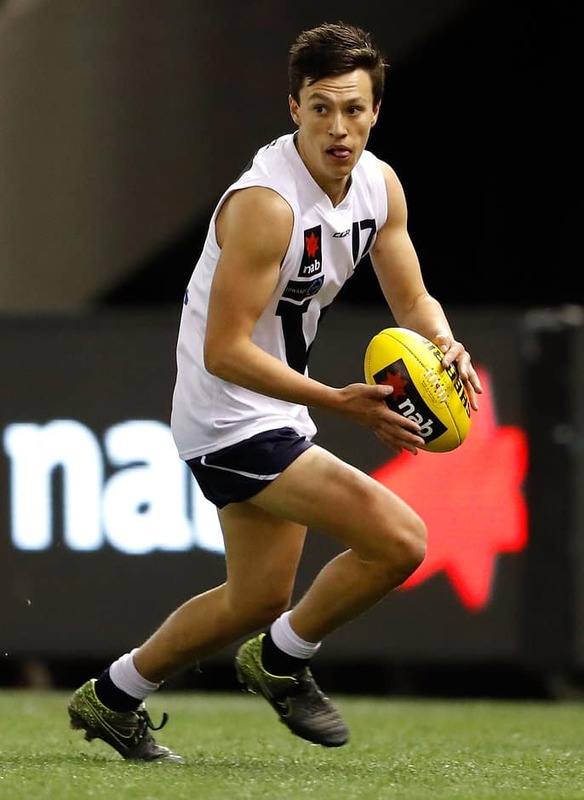 Collingwood's father-son eligible players Josh Daicos and Callum Brown will be on show, as will GWS Academy prospect Harry Perryman and Gold Coast Academy player Jack Bowes. Joe Atley, younger brother of North Melbourne's Shaun, and Jonty Scharenberg, whose older brother Matt is a Magpie, will also play. Friday's match will begin at 1.30pm AEST. Saturday's match is at 10am AEST (watch it LIVE on the AFL.com.au). At the conclusion of each match, one player will receive a NAB best-on-ground award.